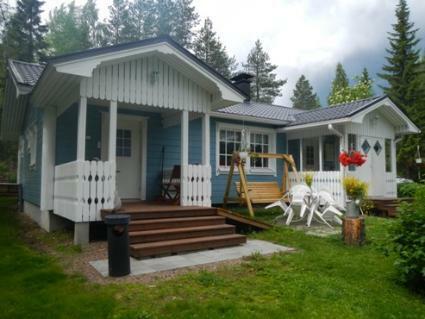 Spacious, electrified log cabin is located by lake Ruuhijärvi, about 10 km from the city of Kajaani, and 30 minute drive away from Vuokatti. Renovated 2012. Livingroom/ kitchen, 2 bedrooms, one with doublebed and extrabed, one with 2 beds, utility room. 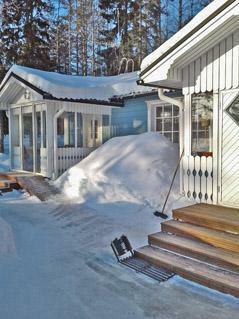 Lakeside sauna with lounge, beds for 2 available in summer. Note: indoor sauna is not available (however you can use shower). Doghouse in yard. Cellar for cool storage. Rowingboat and pier, shore deepens slightly. Fireplace by shore. 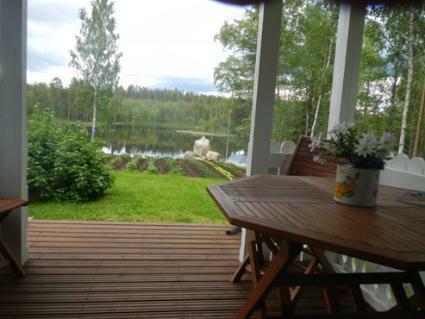 Distances: Kajaani 9 km, spa Katinkulta 30 km, Kajaani Golf 15 km, ski centre Vuokatti 30 km, Ruuhijärvi recreational fishing area 3 km. 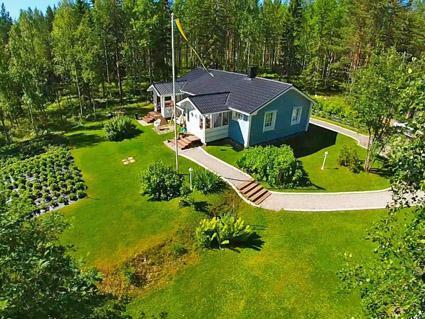 Ruuhijärvi is balanced, almost uninhabited little lake, whose beach you can find only one house and Koivuranta cabin. 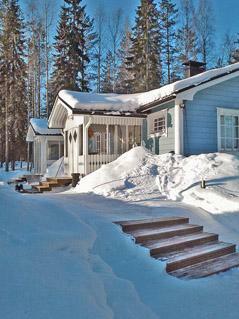 At a walking-distance away Iso-Ruuhijärvi area for recreational fishing with all services. 150 e security fee should be paid at spot. Note: January - April: bookings must be done at least one week prior to the arrival date and the minimum rental period of 2 days. Cabin can be reached by car. 2 car electric sockets. Bed linen and final cleaning possible to reserve from owner (extra fee).